MTHFR (methylenetetrahydrofolate reductase) is a gene. The gene encodes the MTHFR enzyme which is in charge of a multi-step process converting homocysteine into another amino acid – methionine. an inability to appropriately process B vitamins. People with MTHFR gene mutations can have high levels of homocysteine but not everyone with the MTHFR gene mutation has a homocysteine issues. Over the years many MTHFR gene variants have been identified and common mutations include C677T and A1298C, with the first being more serious out of the two. While you most likely only heard about MTHFR when it affected you, or someone close to you, it’s not uncommon nor is it rare. 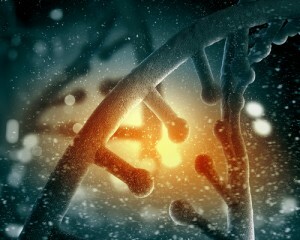 The MTHFR C677T mutation is found in over five to 10 per cent of the population and the A1298C MTHFR mutation affects some 20 to 30 per cent of people. Some people have a genetic mutation in one or both of their MTHFR genes. 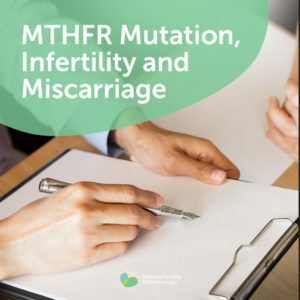 One of the main issues with the prevalence of the MTHFR gene is a homocysteine build up which can cause problems with blood clots and had been widely linked to recurrent miscarriages. While some MTHFR mutations are not a cause for concern, others are. If a woman has had several miscarriages or a couple has suffered long standing infertility, they should be tested for the MTHFR gene mutation. If you and your partner are experiencing recurrent miscarriages it’s important to look further than just the woman’s physiology and both partner’s genetics, among other things, need to be examined. This means that the father’s genetics have a direct connection in the blood clotting risk in the developing child. The methylation in the developing child is directly correlated to a healthy pregnancy outcome – regardless of the methylation status of the mother or father. Health promotion and prevention is the best medicine. A pre-conceptual assessment and customised supplementation regime for both prospective parents is important to maximising your fertility and chances of conceiving and delivering a healthy baby. Manage the fertility issues of MTHFR by booking a consultation with one of our expert fertility team, we can help. Ozdemir, O 2012, ‘Recurrent pregnancy loss and its relation to combined parental thrombophilic gene mutations’, Genetic Testing and Molecular Biomarkers, vol. 4, p. 279-86. Yin, Li-Jun 2012, ‘Insufficient maintenance DNA methylation is associated with abnormal embryonic development’, BMC Medicine, p. 10-26.